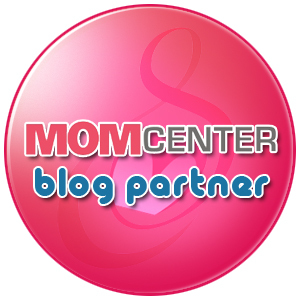 We are happy to announce that Mom Notes has joined hands with Mom Center, the largest parenting online resource and community in the Philippines, in bringing you more valuable articles, the latest events, parenting news and tips, and the chance to join contests and win cool prizes from Mom Center sponsors. We encourage you to sign up at MomCenter.com.ph, where you could interact with thousands of other Filipina moms (and dads maybe?) in this extensive online parenting community. If you got a question you are dying to ask about parenthood or having a dilemma and need an ear to listen, members who know exactly what you are going through are always supportive and ready to offer help. About Mom CenterWhether you are an old or new parent, you will find Mom Center to be the best place to look for answers when you have concerns about anything related to parenting - all laid out on a local context. The website features articles, forums, an events page, product reviews and information, news, and useful educational and health resources. For years, Mom Center has been extending a helping hand to parents not only in the Philippines but also in our Asian neighbors. "Prizes to be won include Wink to Learn Virtual Flash Cards, Life Stages Guide, Wink to Learn Learning Guide, Wink to Learn 5-in-1 Learning DVD bundle, Cradle and Cycle products, and Fisher Price Pooh Activity Keys." (From Mom Center website)Mom Center is also on Facebook and Twitter. Hello Mommies Naomi, Steffi and Kelly! Need to improve parenting skills? Visit us at www.greatmoms.net.